Weed pumpkin pie, it exists. Happy Thanksgiving. 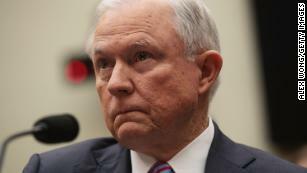 (CNN) In a seismic shift, Attorney General Jeff Sessions will announce Thursday that he is rescinding a trio of memos from the Obama administration that adopted a policy of non-interference with marijuana-friendly state laws, according to a source with knowledge of the decision. The move comes days after marijuana became officially legal under laws in California, the largest state. Voters in California approved the measure in November 2016, but the legal, commercial sale of marijuana under California state law went into effect with the new year. ← Will India Legalize Cannabis?